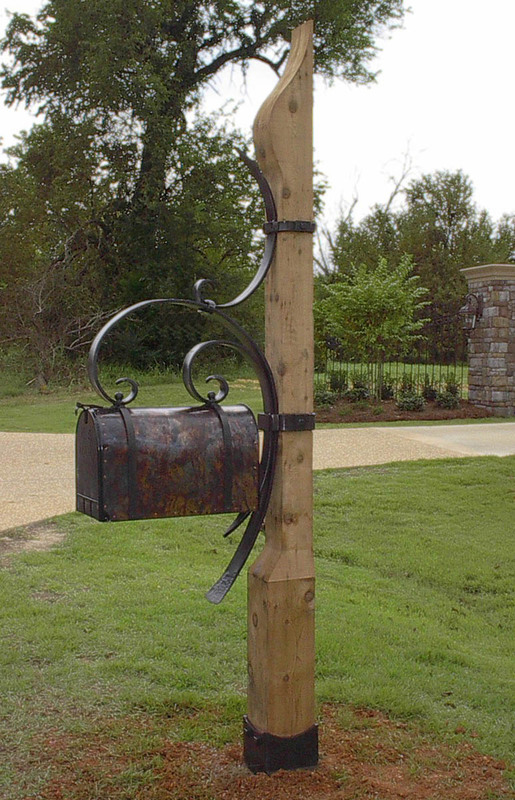 A 9 foot tall sculpted cypress post supports the banded ironwork and a large, copper clad rural mailbox. 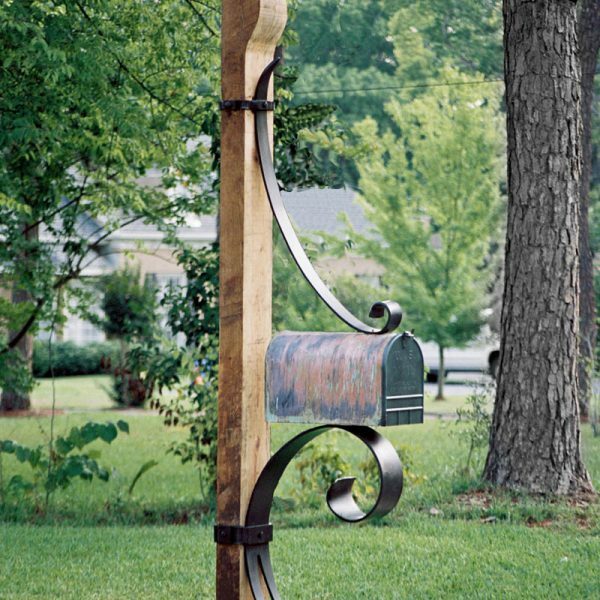 The decorative iron boot helps keep the wood dry. 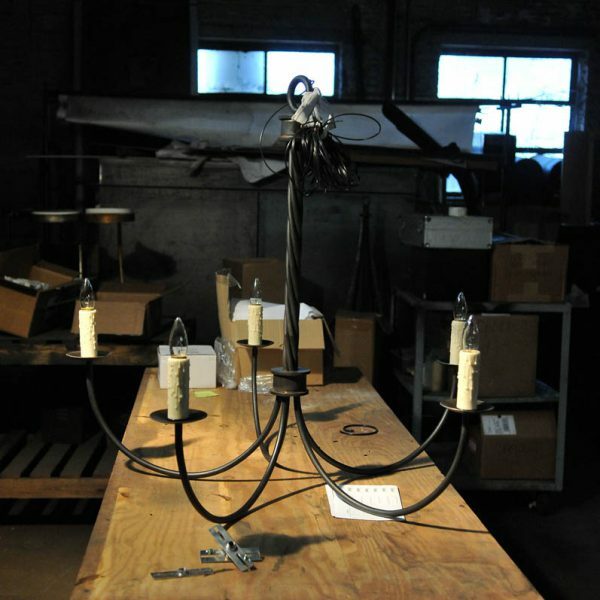 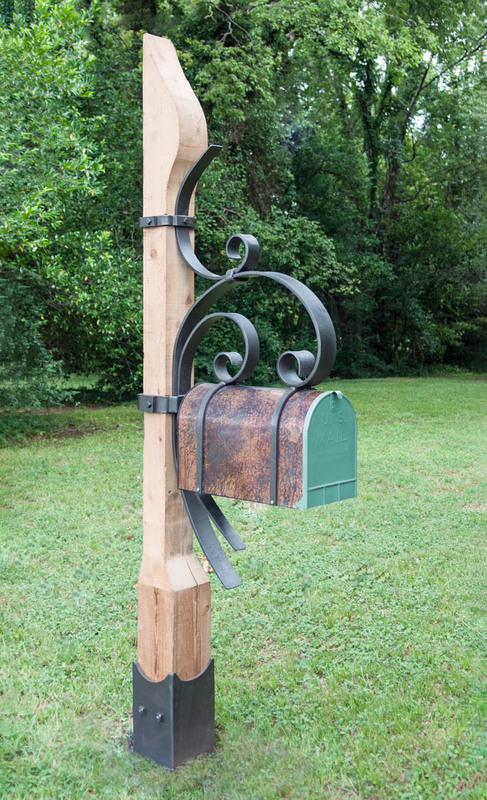 The Highlands Mailbox is available as the complete assembly or, for those who want to use their own wood, the ironwork with the mailbox is available. 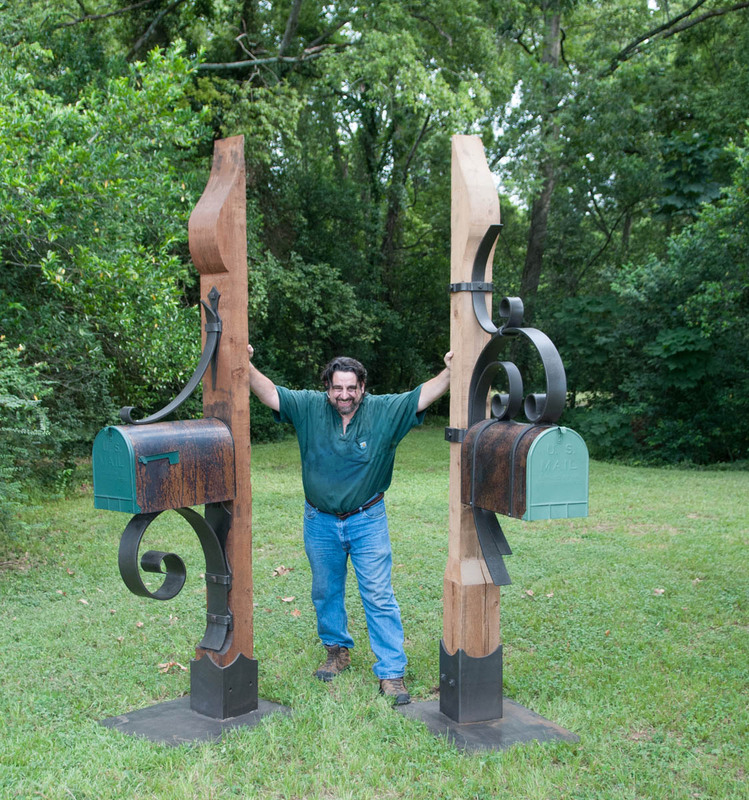 The Highlands design has also been used with and without the mailbox for signage.